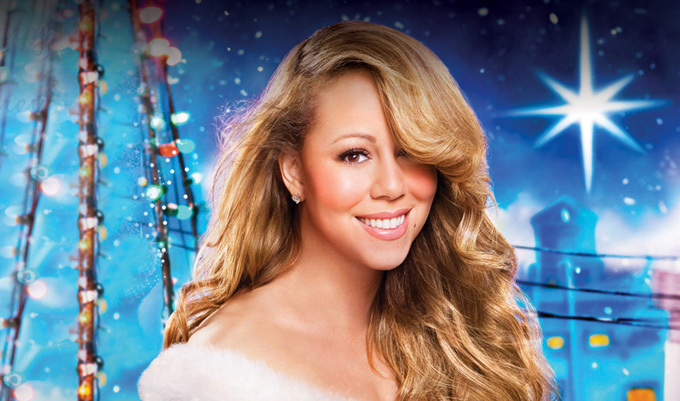 GLOBAL SUPERSTAR AND "QUEEN OF CHRISTMAS," MARIAH CAREY ANNOUNCES HER FIRST EVER LIVE CHRISTMAS EXTRAVAGANZA! In the midst of her wildly successful world tour "The Elusive Chanteuse Show," Mimi returns home to New York City for a series of festive shows at the Beacon Theatre! Mariah Carey'said 'All I Want For Christmas Is You, A Night of Joy and Festivity,'titled after Mariah's self-penned modern classic, commemorates the 20th anniversary of her album "Merry Christmas," the best selling Christmas album of all-time! NEW YORK, NY  Mariah Carey announced this morning that she will bring her all-time favorite, chart-topping Christmas hits to the Beacon Theatre for four unprecedented performances this December 15, 16, 18 & 20. Mariah will spread festive love and cheer on stage performing her timeless hits from her worldwide bestselling holiday albums Merry Christmas, which has sold over 14 million copies to date and is certified 5x platinum by the RIAA, and her critically acclaimed holiday follow up, Merry Christmas II You. Exclusive Honey B. Fly ticket pre-sales for the Beacon Theatre performances go on sale Monday, November 3rd @ 10am ET. Public on-sales begin on Monday, November 10th at 12-noon on Ticketmaster.com. "I can't imagine being anywhere more special than live on stage, in my hometown, celebrating with my fans during the Christmas season, my most treasured time of the year," said Carey. "I can't wait!" Visit the TOUR page for the schedule of dates. We love you in Philadelphia. When will you come here?